Play2win is a top-notch online casino operating in the gaming industry, regulated by the Netherlands Antilles and licensed by the Curacao Government. It is managed by a group of online gaming experts and all our operations are supervised by the Director of Offshore Gaming. Innovation and creativity are our pillars. Therefore, we always look forward to having the latest technology available. Our site is powered by a top-quality software company, called Rival, unmatched in the casino industry. Rival ensures play2win the best encryption technology, firewalls and protocols, which help us provide our players with unrivaled security procedures. Our top priority is that our players feel satisfied and happy when gambling on our site. 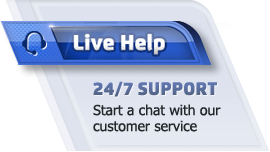 We have the best Support Service staff in the gaming industry: they will solve any queries you might come up with and have the know-how to handle all kinds of situations. Play2win will make your gaming experience the best ever; you will absolutely enjoy it to the full! We would be glad to hear your opinion on our site, so contact us by chat, email or phone and speak your mind! We will appreciate any ideas and feedback you can provide. Please, don’t hesitate to contact the Customer Support Manager.